The Morning Bible Study ministry seeks to promote, facilitate and deepen the study of Holy Scripture, guided by the wisdom and insight of the Holy Orthodox Christian Faith, for the spiritual health and growth of all who participate. The study is guided by someone trained in the teachings of the Orthodox faith and the study of Scripture. 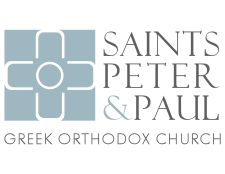 Everyone is welcome, including those who are not members of SSPP, and also those who are not Orthodox Christians. No preparation is needed, and no homework is required. We use the Orthodox Study Bible, but if you do not have your own copy, we have copies that can be used in class. If you have any questions or would like more information, please contact Helen Theodoropoulos at SSPP.BIBLESTUDY@gmail.com.